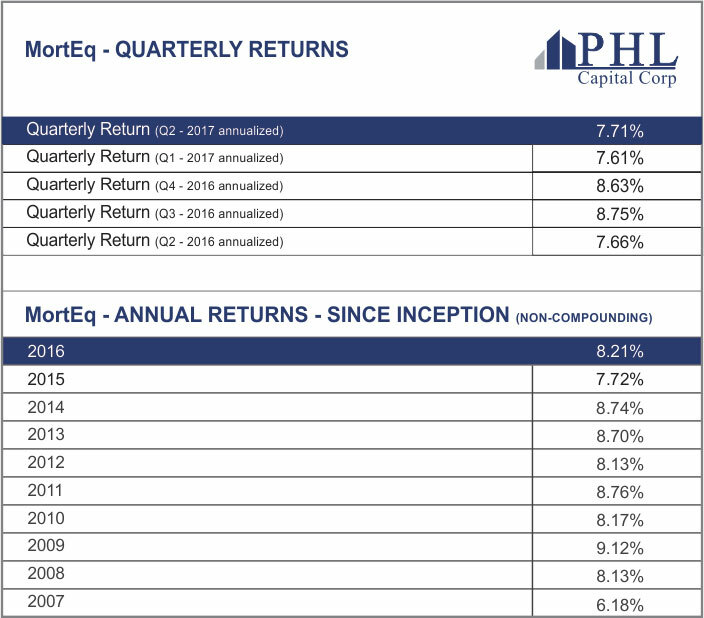 MortEq Lending Corp (MLC) generated a quarterly return of 7.71% (annualized) for Q2 – 2017 (Q1 – 2017: 7.61%). All shareholders who receive dividends via direct deposit will receive their dividends on March 28, 2017. Shareholders who receive dividends via cheque should receive them by March 31, 2017 – we highly recommend that you change your dividend directions to direct deposit to ensure there are no delays in receiving your funds. Please note our next share offering is scheduled to close on June 1, 2017. If you are planning on transferring funds from a different institution we recommend you provide transfer documents to MLC by April 24, 2017 to ensure funds are received by June 1st. Please contact us for further details.